What fun. To make the costume complete, I took my Android G1 phone and bought a copy of Never Gonna Give You Up from Amazon for $.99. Then I put the song on continuous loop and turned on the external speaker. The G1 can really belt out music! Presto, not only do I look like Rick Astley, but I’m Rickrolling everyone who comes within ten feet of me! Other Halloween fun from previous years. LMAO! good one… are you using the IR function as radar to auto rick roll? LOL…poor Rick Astley! He gets no respect. Uhh…why is your hair purple? 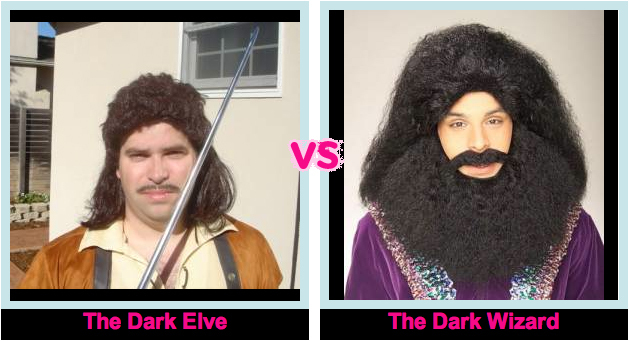 >> I’ve added an “embed” code into this blog so you can experience the costume for yourself. Let me know if it works for you. btw. : Funny Google robots.txt and very, very funny German SERPs. I think the problem with the Rickroll music was the nesting of the embed tags, you just has it poorly formatted and the embed wasn’t closed. That being said I only glanced at it quickly before tweeting, it might have been another issue. I feel sick and I dont think it was all the candy I ate today. Steve, that color was as close as I could get to Rick Astley’s red locks. I heared 1st time About Rick Astley. Is he a musician ? Now I knew that Halloween was all about scaring people but dragging poor old Rick back from the crypt is surely going a bit too far !! 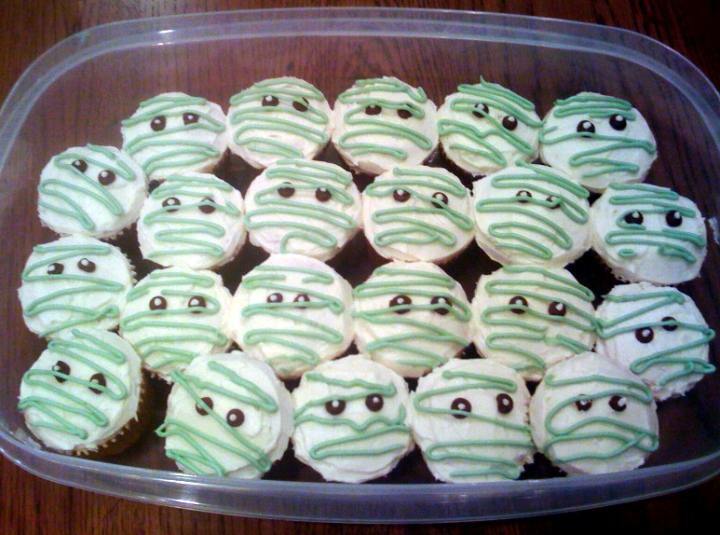 Cupcakes look good though ! Never gonna give, never gonna give! In the first picture, you look exactly like Rick Astley. 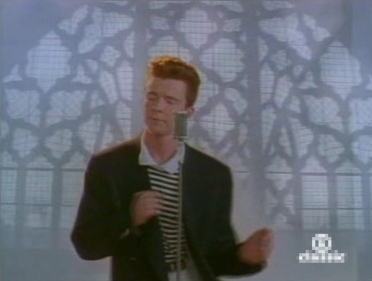 And for the last picture, it would really be nice if we could hear the song which Rick Astley was singing. Hitting these trends at the peak, eh? Woohoo! I suggested Rick Astley in your post the other week. Although it sounds like you more were… T-Rick Astley! Matt, you are way better looking than that panzy. Perhaps you should get into show business. 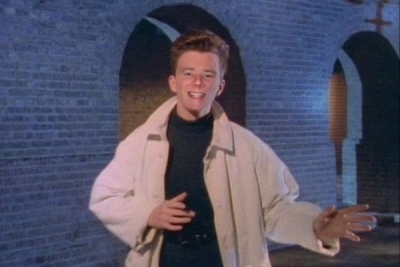 You guys wrecked your index on Friday and all you can do is go on about Rick Astley. Many excellent authority sites were ditched from the index, home pages going missing, and you think this is a good move for Google? I guess people who consider themselves important, lose site of reality, and make changes that aren’t needed. It’s common for a company to get too big for it’s boots and end up wrecking their own business. Leave things alone, or you will ruin your own business, along with that of many hard working webmasters. BTW Some little know search engine that nobody ever heard called Google??? listed my forum in first place for the search terms “Interviews with the best SEO experts” and “Interviews with the best SEO” and even though SEO is a complete mystry to me I posted the thread in my name above! As dissapointed and ditressed as I am to be listed so highly on such a little know search engine what with SEO being such a complete and utter mystery to me I wondered if you coul offer any advice on how I can stop geting page 1 and link 1 Google listings? Who the heck is Rick Astley? Never heard of him before today. Ronald R, you may not have noticed but I commented on that topic over on WebmasterWorld. There was a temporary issue, but it should be fixed now or later today. Then get on your knees and thank the baby Jesus that you haven’t. He’s a generic British pop star/one-trick pony from the mid-80s famous for recording one of the most annoying songs in recent memory. He was recently brought back to “life” by a bunch of sick twisted bastards who used the song and video (Matt’s got a few stills posted of the video) to “Rickroll” other people and annoy them to the point where they wanted to set their eyes and ears on fire in order to go blind and deaf. 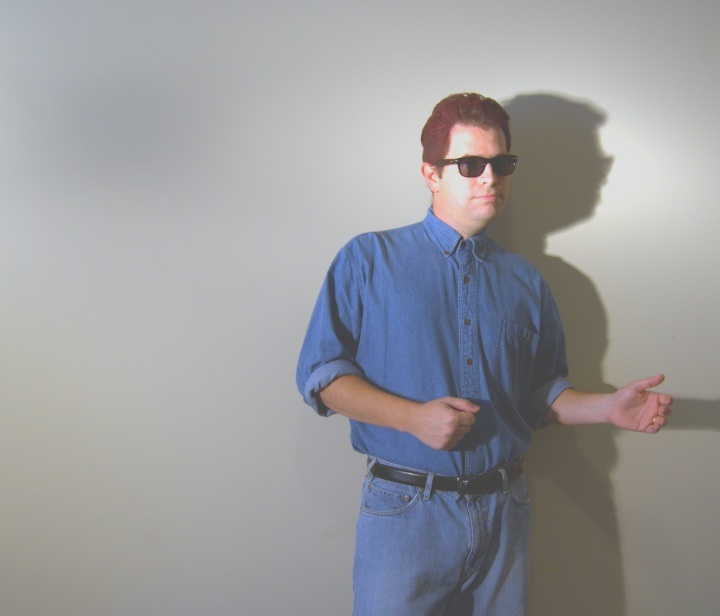 Dude, I’m a senior in high school and my friends and I dressed up as Rick Astley. 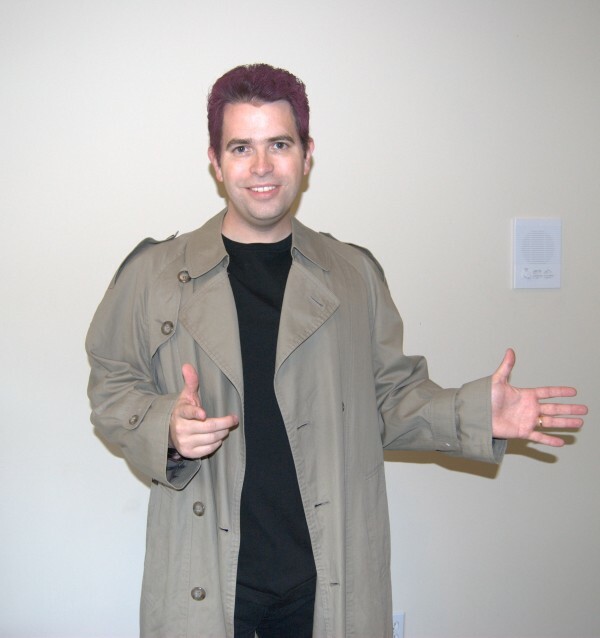 I went as trench coat Rick with another friend, and another one went as the blue collar, jean Rick. Needless to say I brought my boombox to school and we Rickroll’d the hallways. The teachers loved it and the true nightmare of having “Never Gonna Give You Up” in everyones head was a success. I love your costumes btw, great work. Those cookies look like the talking hamburgers from Perfect Hair Forever. nice one! I love the thrid one, almost the same!LOL! hehe. I do love Rick Astley when I was on junior school. Btw, where is he now? Still singing? Salaam. Matt, you look like Freddy Mercury in the second photo. Never gonna tell a lie and hurt you! A physical rickroll? That’s low… What’s next, going as a Star Fox character, so you can “Do a barrell roll”? Actually becoming a lolcat? Okay, that costume is just frickin’ disturbing! You are aging yourself. Wasn’t he popular around 1986? 1987? Dang Matt, your looking trim these days! 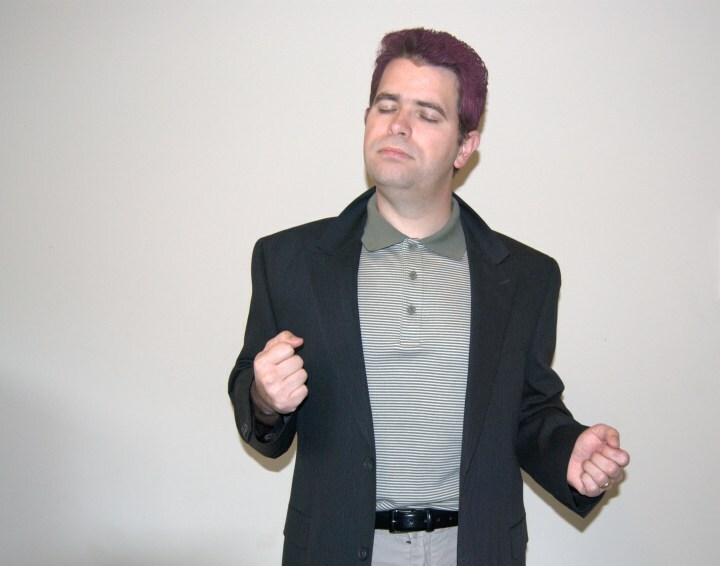 I think we all know what’s really going on here – Rick Astley retired to become Matt Cutts! It all makes sense. Can you please write a filter like Safe-Search which stops me getting Rick-Rolled? This is like so totally post-modern its unfathomable! It’s amazing how Rick Astley all of a sudden became relevant again–about 20 years after his initial pop stardom. Sure, you can still here his songs from time to time on easy listening stations, but I can’t tell you how many times I got “rick rolled”–and if anyone can explain the term to me, I’d be grateful. 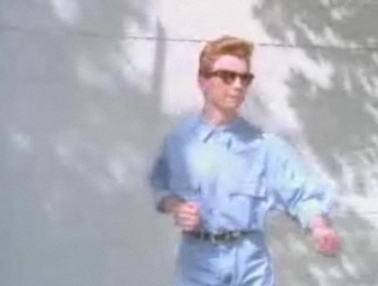 But having said this, I think you really pulled the Astley look off well from the red hair to the Canadian Tuxedo. reminds of the 80’s song…”too much time on my hands.” :p cool costumes though. Awesome stuff! This is the first time i’m seeing you without your spectacles btw..
I’m making the same costume (the one with the trench coat), and I wanna know: Did you use a black shirt or a black sweater? which one? Whoa! There’s a blast from the past. Your last picture shows that you mastered Rick’s look (I’m not sure what to call it).